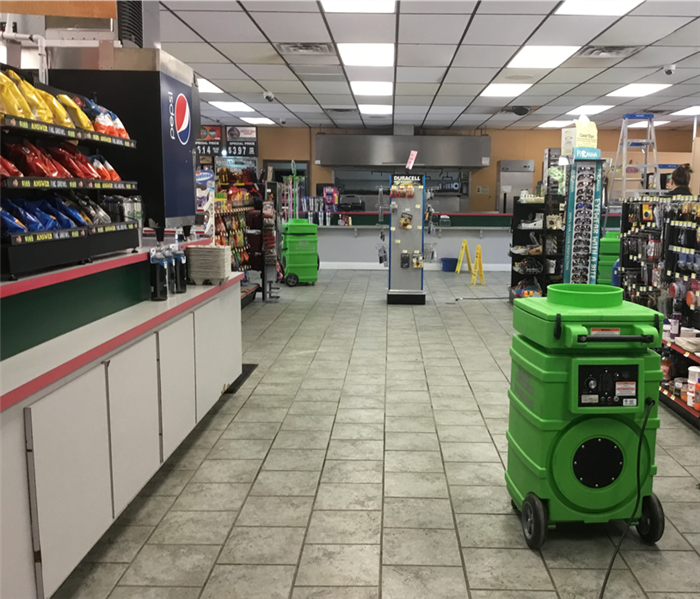 When a local gas station has a kitchen fire, SERVPRO is there is no time to clean up. Fires are never something you can plan for and can be a inconvenience when running a business. Our goal is to get the job done as fast and efficiently as possible to minimize the disruptions. SERVPRO understands fires can be a stressful situation and we are here to take care of as much as we can. The owner of the gas station was happy with how clean we got his business and was impressed on how fast we got it done. 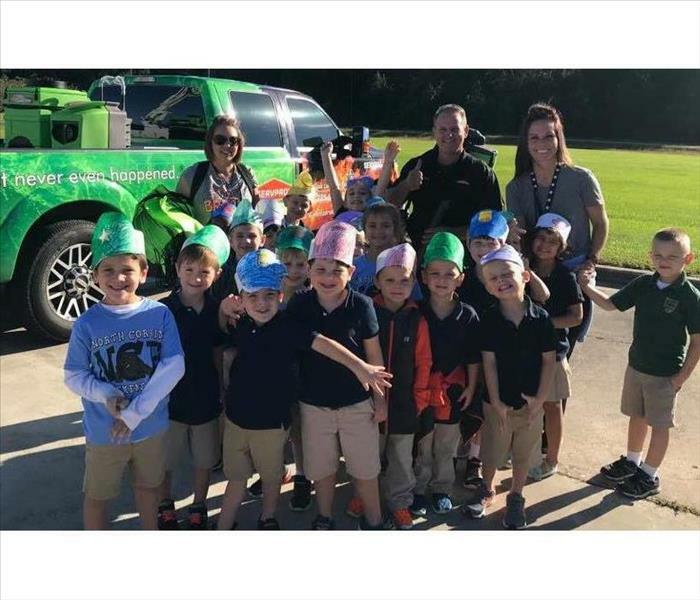 When SERVPRO was invited to North Corbin Elementary, it was an opportunity we couldn't miss! The owner of SERVPRO, Mike Reed, had a blast spending time with all of the children. He brought some pieces of equipment that we use everyday and informed the kids of each one and their purpose. Career Day was such a success we can't wait to go again next year! 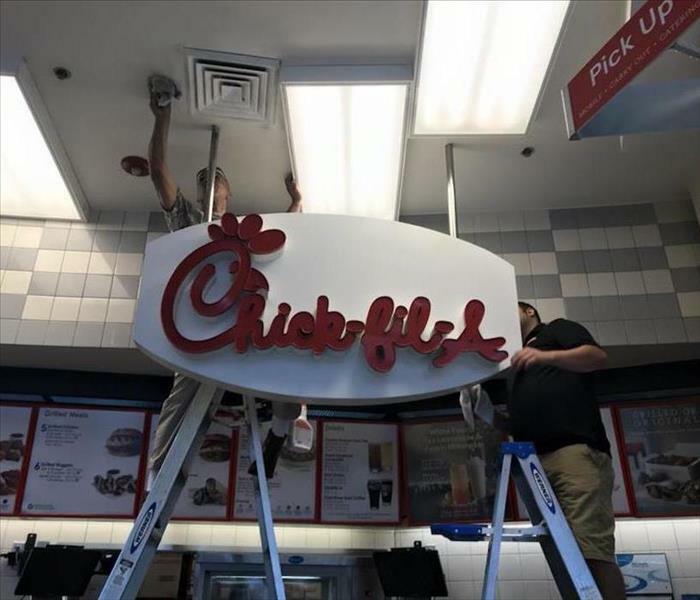 As a result from the hurricane on the East coast, this Chick-fil-A suffered from some water damage. The water came in from the ceiling from wind driven rain. This being the case, we had focus all our attention on the ceiling and keep the damage from spreading and getting worse. 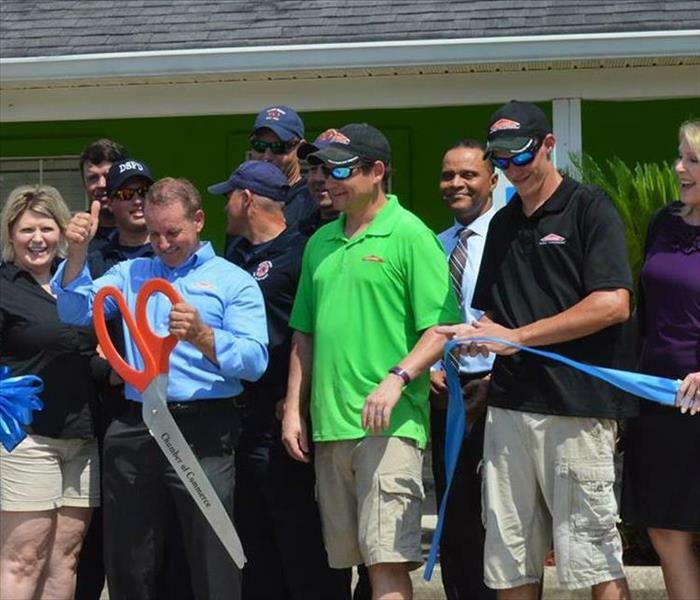 Once SERVPRO arrived, we got to work on the restoring the restaurant to preloss condition. When we completed the job, the owner was very please with the results and he was able to reopen his restaurant in no time. A local hospital is one of our largest customers. 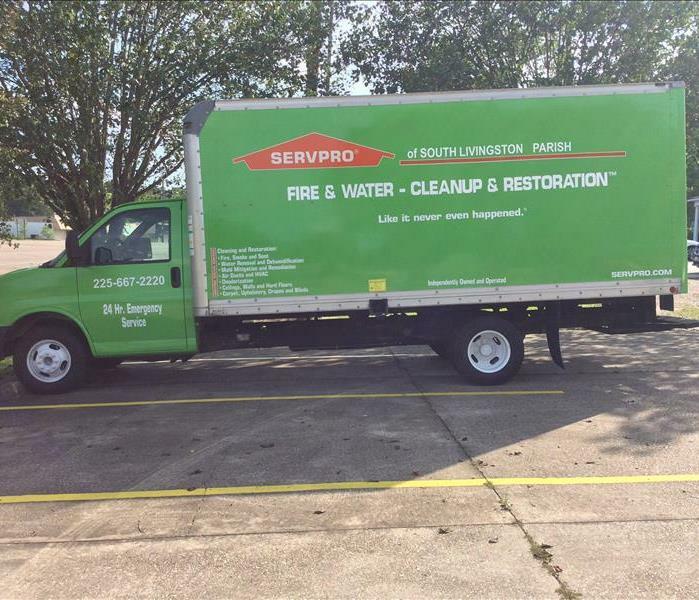 No one can predict water damage so that is why SERVPRO is always ready and prepared. So when this water loss happened, we had the hospital cleaned up and running smoothly in no time. 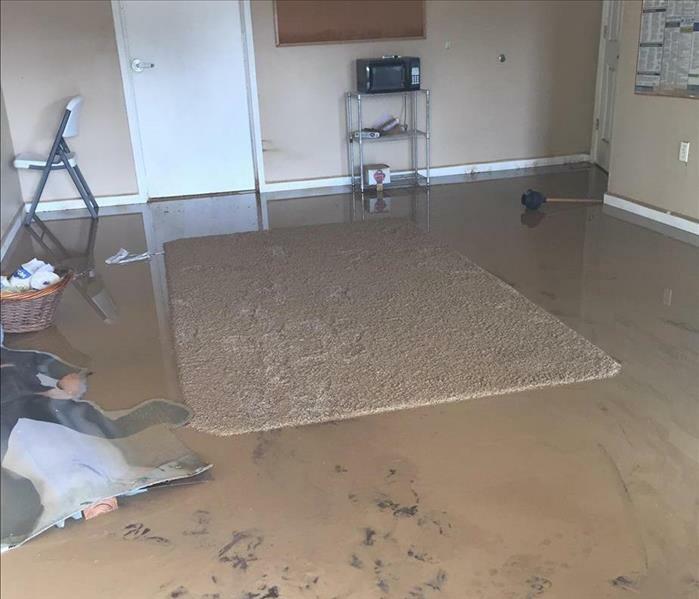 Water damage is something we see everyday. Every job is different and different techniques may be needed for each job. That's why it is important for us to have our technicians up to date on the latest training and technology. So our technicians are prepared for whatever happens. 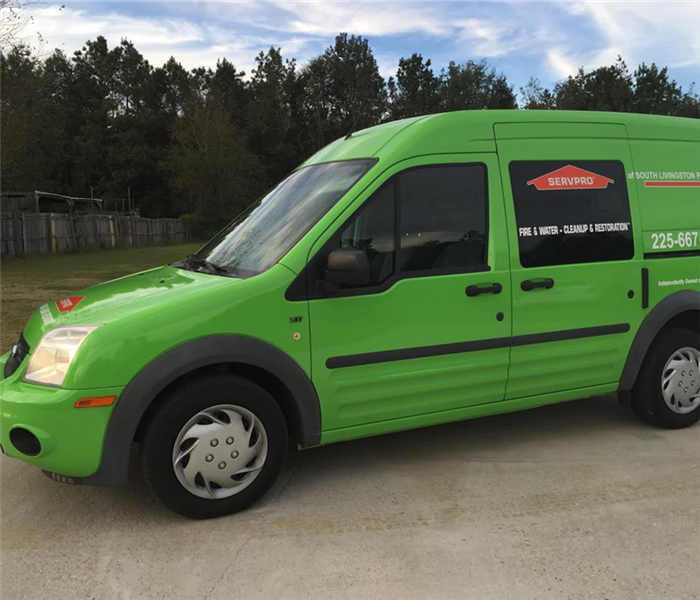 SERVPRO knows disasters never strike at a convenient time. So when on the first day back to school an elementary school flooded it was a total shock to everyone. It took us no time to get all the water extracted and get drying equipment in place. The school couldn't believe how fast we were able to get everything cleaned up and with very little disruption. All job large and small we can handle them all. This a was a large loss at a car dealership that took some specialty drying. 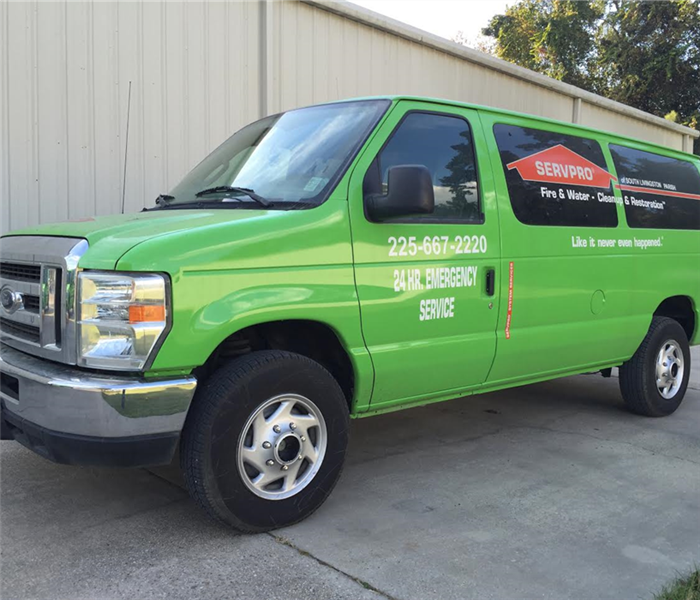 SERVPRO knows that no two water jobs are ever the same and this one is no exception. But no matter what obstacles we may face we find a way to over come it and always make sure we have a happy, satisfied customer. This was a photo taken of our very own office. In 2016 a flood greatly impacted our area including our own SERVPRO office. After cleaning up and drying our own office we were able to get up and running again "Like it never even happened." This was just one of many house we dried after Hurricane Harvey. Knowing these people just went through a traumatic experience, we tried to help our customers as much as we could. We did not leave Texas without making sure every single one of our customers was satisfied with our services. 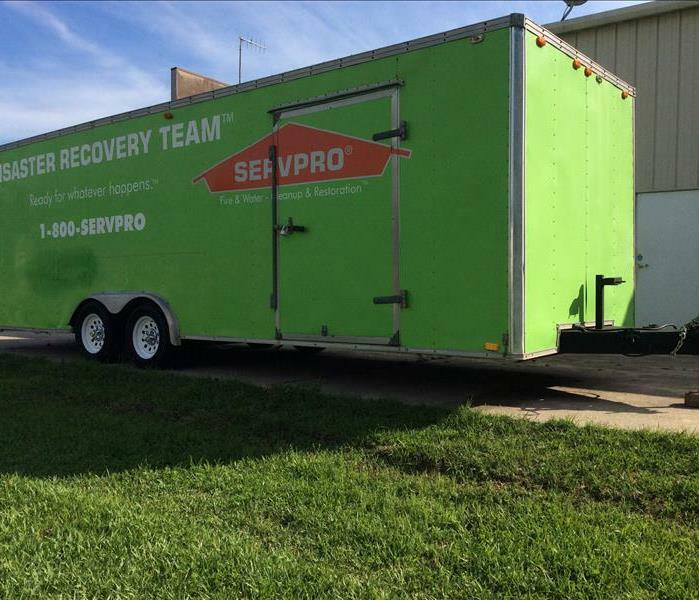 When Hurricane Harvey impacted Texas, SERVPRO of South Livingston saw the need for help and headed to Texas. This was a photo taken from our crew as they had to go through the flooded streets to help people in need. This flood had happened only a year after our very own flood. So we could definitely relate and understand what everyone was going through. This photo was taken right in the middle of the Great Flood of 2016. This was a devastating time for the town of Denham Springs, LA. Even our own SERVPRO office was greatly affected, taking on 4 feet of water. Although this was a very stressful time, it brought our community closer together. 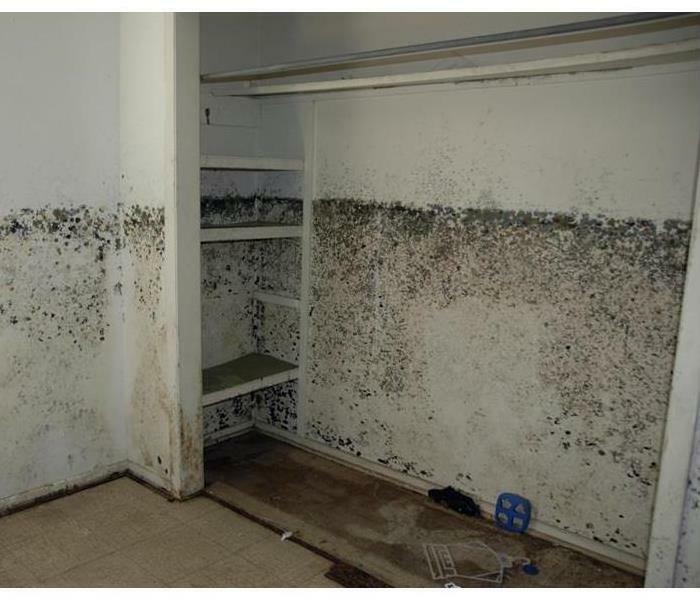 If you catch mold soon enough is can be treated. But it left for a long period of time there is no other way to get rid of beside removing the material it grows on. That was the case for this house. This house had been taken over by mold when a leak went undetected for a long time. It is never a good decision to take care of these situations yourself. 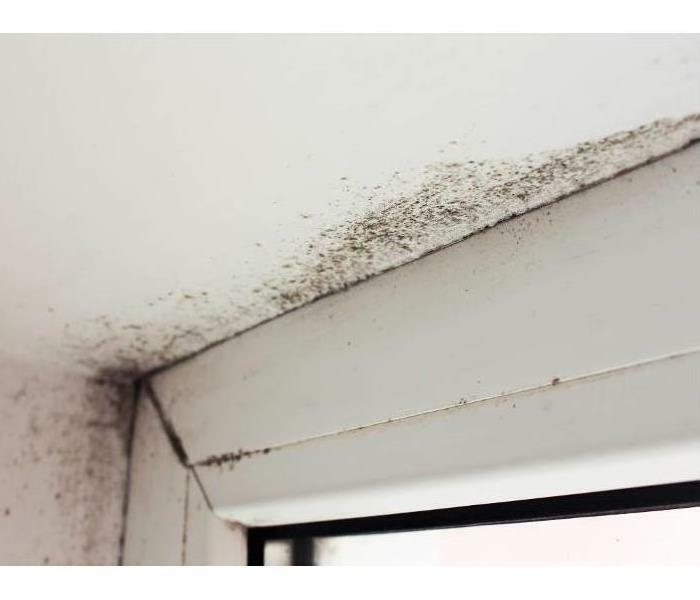 When it comes to mold, it can start growing where you least expect it. If your windows are not sealed you can end up with this problem. Checking your windows can be an easy way of making sure your family is safe from health hazards and costly mold remediation. When is homeowner came home from being out of town he came home to a harmful situation. This is the result of a pipe break on the second floor and be left to sit for a week. We had to do a full tear out of the place because the mold had taken over. Mold is nothing to play with. If you don't address water damage right away, you could be left with a hazardous situation. After the Great Flood of 2016 many homeowners just walked away from their house leaving the opportunity for mold to take over. Once SERVPRO got to this house, we took all the necessary measures to make this house ready to be rebuilt. When it comes to smoke and soot damage in your home it can impact many things including your health. The homeowner of this house had health issues and the soot only intensified them even more. That's why it is very important you call us right away so we can take the proper steps in order to stop further damage your home as well as to you. SERVPRO understands business interruptions such as a fire can be very costly. That's why we do our best to do our job as fast as possible. Just after a matter of days of thoroughly clean this nail salon top to bottom, we were about to waste no time in helping them reopen their business. When disaster sticks SERVPRO is always here to help. This was a fire started by a clothes dryer. Fires can be a stressful situation and we always do whatever we can to make it that much easier. For this homeowner, we had to do a complete pack out and cleaning of the house. Resulting in a very pleased customer. This was the result of a charger being plugged in the wall. Sometimes it is the smallest things that can create the most damage. Lots of soot filled the house leaving horrible odor. After having our crew over there for a few days, there was not a trace of soot left behind. The homeowner was amazed on what a thorough job we had done. The was the aftermath of the flood that happened in 2016. There was significant damage to the whole restaurant. Once SERVPRO got in there we had the place gutted and cleanup in no time. The owner was shocked at just how fast we were able to get that place cleaned up and ready for reconstruction. A college was in the process of building new dorms with disaster stuck. Due to the cold weather a pipe busted and created a large amount of damage. Four floors of dorms were affected. SERVPRO responded and began mitigation procedures. Because of our immediate response, we were able to get the place dried and the college was able to continue with their construction. This is the result of a faulty sprinkler system in a hospital. When SERVPRO of South Livingston got the call, nearly half the hospital had 4 inches of water. As soon as we arrived we got to work extracting all the water. After all the necessary requirements were done to properly mitigate the water damage, the people at the hospital were very pleased with the end results. 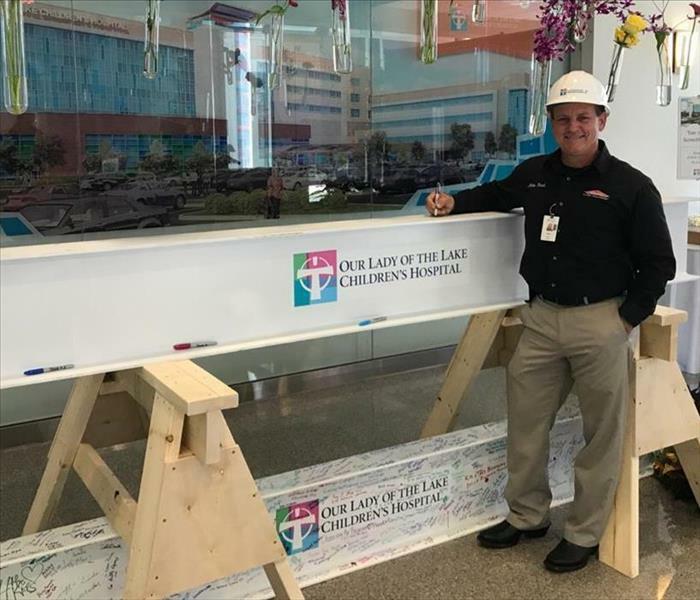 SERVPRO of South Livingston is proudly sponsoring Our Lady of the Lake Children's Hospital to build a stronger community! In the picture, Mike Reed (owner) is signing a beam that will go into the construction of the Children's Hospital in Baton Rouge. We are fully stocked with plenty of equipment ready for any size disaster! Gassed up and ready to go! This is one of our fours vans we have. We have plenty vehicles and we are able to handle however many jobs that are sent our way! For projects big to small, this van can handle it all! Whatever size your disaster may be, we are prepared to handle it all. At a moment's notice this big truck is ready to go and it is very well equipped for every job. This massive trailer can hold it all! With all the natural disasters taking place and hurricane season around the corner, this trailer is sure to handle any size commercial job. No job is ever too big for us to tackle! On August 4, 2016, we celebrated our grand opening event with the community. We had a big cook out and enjoyed spending with everyone. It was lots of fun and we had a wondererful time!